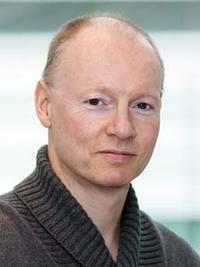 Harald A. Stenmark, leader of the "Cellular membrane dynamics group" at the Department of Molecular Cell Biology, OUS, and from Centre for Cancer Biomedicine at UIO has won this year's "Møbius award" - the annual prize for excellent research from the Research Council of Norway. The award amounts to 1 mill. NOK and is distributed Wednesday September 23rd in Oslo Konserthus. Forskningsrådets pris for fremragende forskning til kreftprofessor Harald Stenmark.